The Ontario Access Coalition (OAC) with help from MEC, Ontarioclimbing.com, the Alpine Club of Canada (ACC), the Bruce Trail Conservancy, the Nature League and Grey Sauble Conservation Authority (GSCA) has successfully negotiated the purchase of 45 acres of land below Old Baldy Conservation area. This land purchase ensures future climbing access to this incredible area, which has over 100 of Ontario's finest climbs. The purchase is the result of over two years of planning and hard work spearheaded by Randy Kielbasiewicz of the OAC and is arguably the most significant access victory in Ontario's climbing history. A total of $130 000 was donated by the OAC. While climbers had been visiting Old Baldy since the 1970s, it was only during the late 1980s, after Chris Oates and Judy Barnes began adding bolt-protected routes, that interest in the area began to peak. 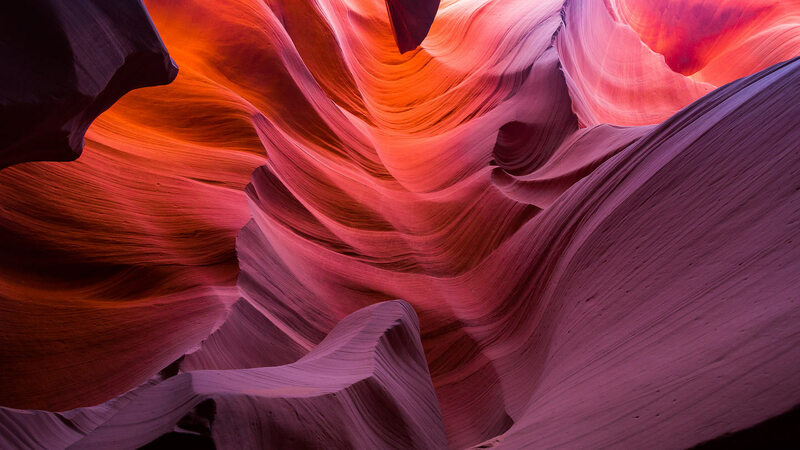 The cliff's pocketed walls and solid rock made it an excellent candidate for modern sport climbing. "We simply wanted to climb on the best rock regardless of the grade and Baldy not only had excellent stone, but also incredible views," says Oates. 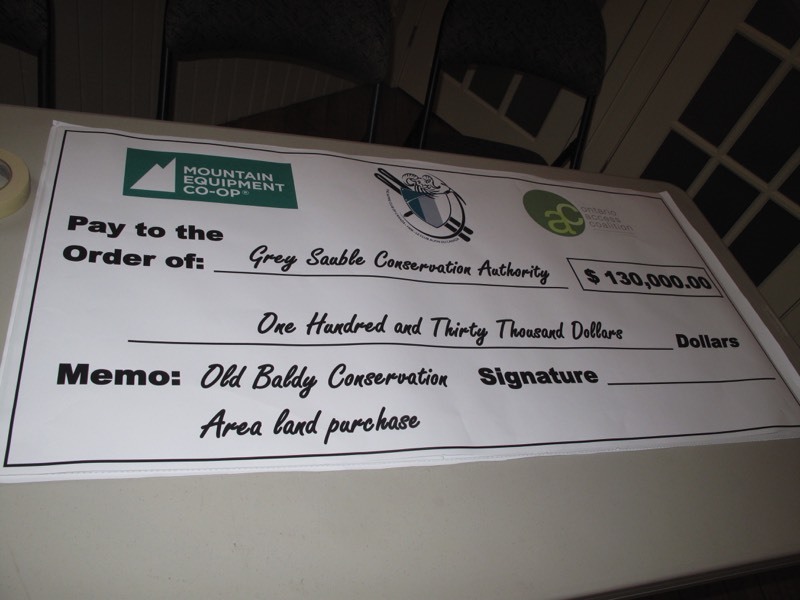 The property will be owned and managed by GSCA and the $25 annual climber's access fee will no longer be in effect. 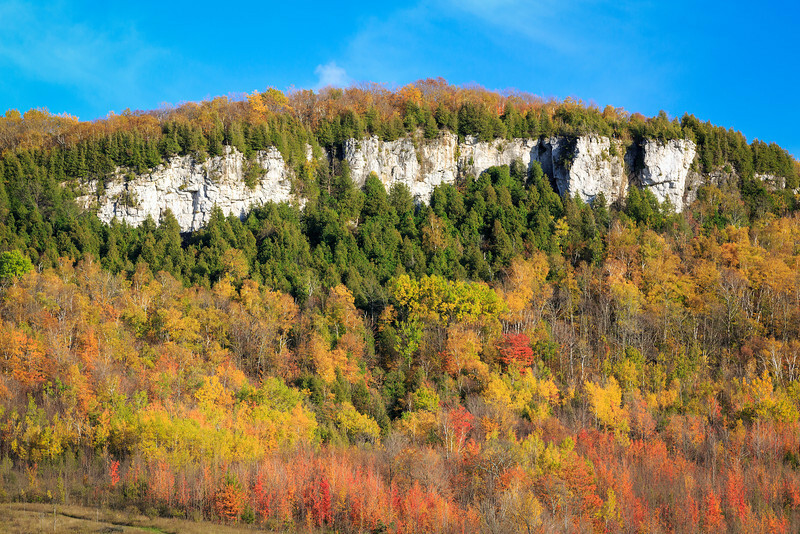 Read more about Old Baldy and this incredible access victory at the Ontario Access Coalition. 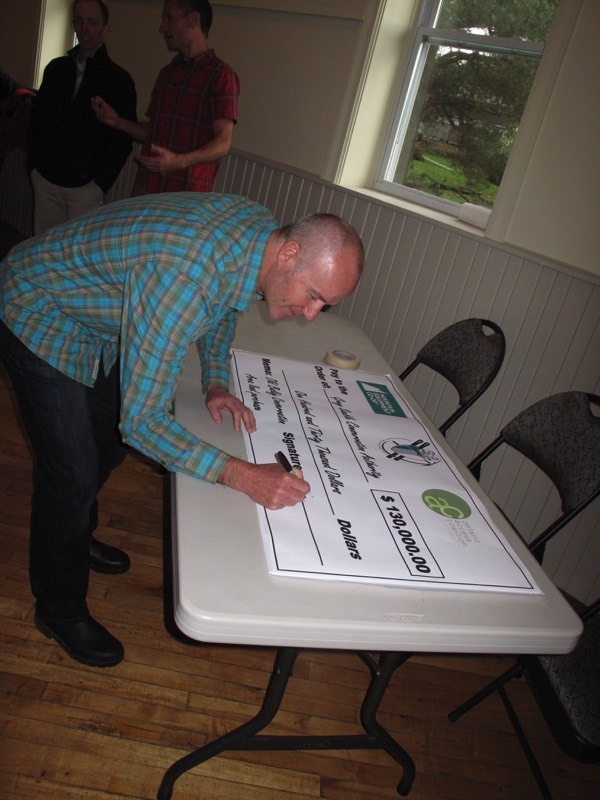 Dave Robinson from MEC signing over the cheque.